Would you rather launch Workday with a whimper or a roar? This may be the largest and most transformative project you ever lead. Get off to a strong start with these pro tips. Over time process can become cumbersome, redundant, poorly defined and inefficient. There’s a limit to the benefits Workday can deliver for your business if you have poor processes and procedures. So detailed assessment of how you currently conduct things and an agreed strategy on how to resolve those must be top a priority. Teams often are deep into their implementation process before they look at their data and discover that the quality, consistency and quantity isn’t as good as they thought. And then there’s the data formats to contend with during migration from old systems to new. When executives and stakeholders understand the value that your project will deliver, what must happen when, and who you need to pitch in, they can become a driving force for acceptance and adoption. Workday transforms day-to-day operations. Strategies and plans for communications and coaching will prepare managers for upcoming process and workflow changes and empower them to make the most of new self-service capabilities. The right people with the right skills, knowledge and authority at the right times makes all the difference. Trying to reach a consensus as a large group quickly stalls progress. Smooth deployments take input from many but delegate decision-making to a very small set of staff with the business knowledge and authority to make decisions on a global scale. When staff are seconded to the project but spend large portions of their time supporting the staff who back-filled their roles, the project suffers. Likewise underestimating the scale of hands-on personnel needed for key phases (like tenant testing) impedes quality and velocity. Our deployment teams deliver more than a build. We advise, guide and pair our expertise with your business knowledge to deliver lasting results. Other implementation partners regularly call on us for our support and expertise when projects are extra challenging and complex. We’re particularly deft with integrations, testing, absence and compensation. We’ve built our business on helping enterprises with large-scale digital transformation projects. We understand the impact and opportunities they pose and bring that insight to your Workday deployment. 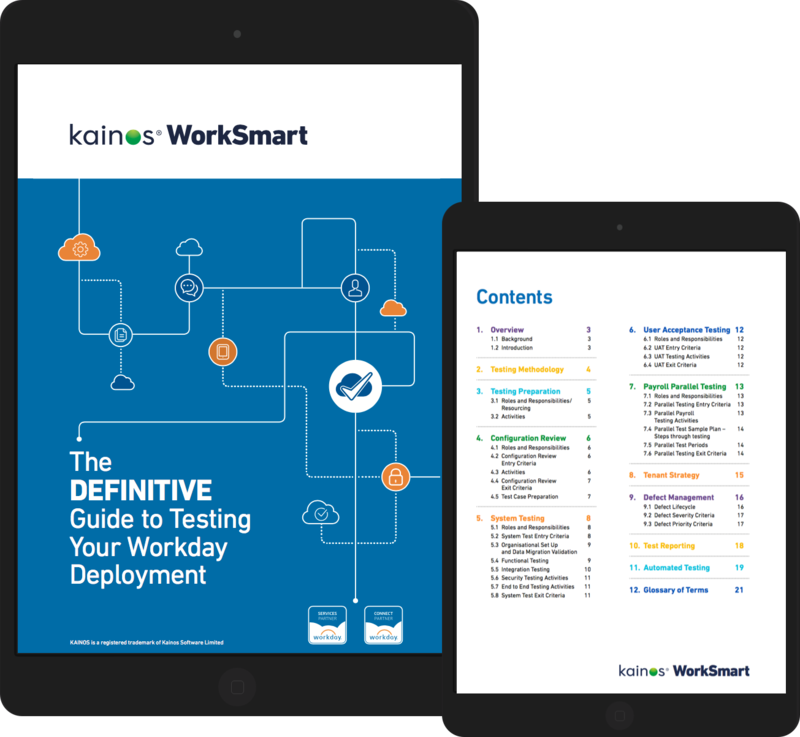 By using our Smart automated testing platform during deployment, you can speed up your tenant testing by 80%, increase your breadth and depth of coverage, and leave your SMEs with more time to focus on other project priorities. We can help you build your team’s capability and confidence to act as change agents, plan and build communication and training plans, and strategise ways to promote the vision.